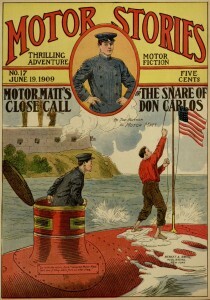 Another Motor Stories adventure has arrived at Project Gutenberg through our collaboration with Distributed Proofreaders. 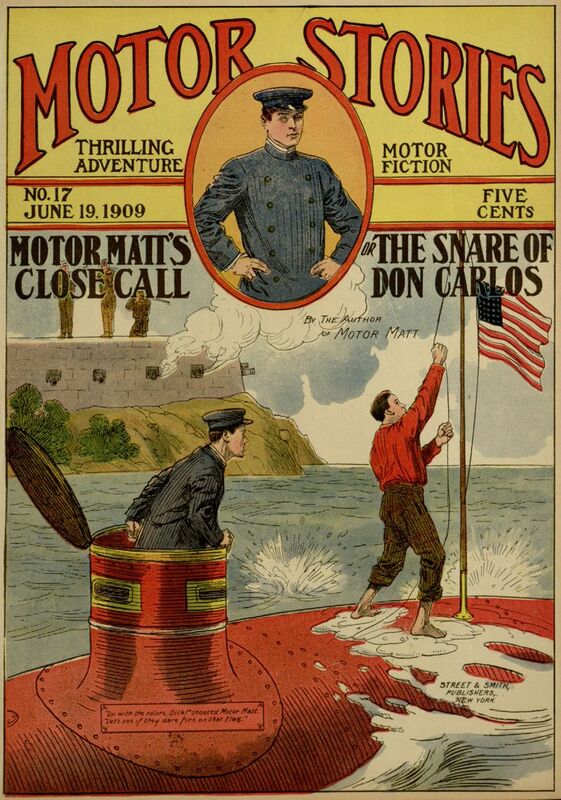 In issue 17, Motor Matt’s Close Call; or, The Snare of Don Carlos, the submarine Grampus once again faces revolutionaries in Belize through the machinations of a villain with a talent for impersonation. Many succumb every season to a strange and deadly form of paralysis. Many more are eaten by sharks, drowned through getting their feet entangled in weeds, caught in crevices in the rocks while exploring the depths of the sea, or seized and devoured quickly by shoals of gigantic octopi—those ghouls of the ocean—which invariably infest the fishing-grounds. The entire book can be downloaded or read online through Project Gutenberg.